Dezeen Wire: Chinese artist Ai Weiwei is the most powerful figure in the art world according to Art Review magazine's annual Power 100 list, published today. Ai Weiwei, who has risen from eleventh place last year, was detained by Chinese authorities for 81 days earlier this year, supposedly for "economic crimes," and published an article in August that described Beijing as a prison and a city of violence. Art Review applaud his work for moving beyond the gallery or museum, dealing with "what’s happening now, around us, in the real world." Hans Ulrich Obrist & Julia Peyton-Jones, curators of the Serpentine Gallery in London, are at number two on the list. 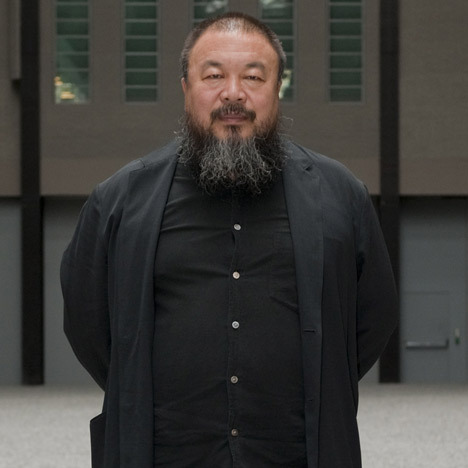 See the full Power 100 list on Art Review's website and see all our stories about Ai Weiwei here.